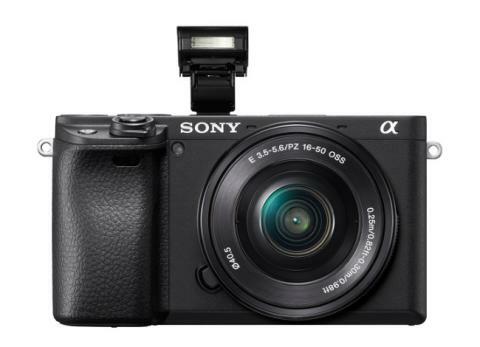 Expanding its E-mount mirrorless camera line-up, Sony has launched the α6400 camera with a 24.2MP APS-C Exmor CMOS image sensor and the BIONZ X image processor in India. The company claims that the camera has the world’s fastest autofocus (AF) acquisition of 0.02 seconds, and comes with an advanced “Real-time Eye AF” and “Real-time Tracking” capabilities. Sony says that the camera supports high-speed shooting at up to 11 fps with auto exposure and autofocus tracking and 4K video recording. It ships with a fully 180-degree tiltable LCD touch screen. Sony α6400 comes equipped with a 24.2 MP APS-C sized image sensor paired with an upgraded BIONZ X processor. Sony says that these two are “incredible advancements” to deliver high-quality images and colour reproduction in all types of shooting conditions. The standard ISO ranges up to ISO 32000 for both still and video, and it is expandable up to ISO 102400 for still images. The Japanese company also says that the camera inherits several image processing algorithms from some of its cameras. Sony claims that the α6400 inherits several technologies from some of its full-frame cameras, including the α9, α7R III and α7 III models. It features 425 phase-detection and an equal contrast-detection AF points covering nearly 84 percent of the image area. Sony says that the BIONZ X image processing engine allows the camera to acquire focus in 0.02 seconds and locks it to ensure fast moving subjects tracking. Sony has introduced an advanced “Real-time Eye AF” in the α6400. It says that the technology employs Artificial Intelligence (AI) based object recognition to detect and process eye data in real time for accuracy, speed and tracking performance of Eye AF. “In all autofocus modes, the camera now automatically detects the eyes of the subject and activates Eye AF with a half press of the shutter button, and when in AF-C or AF-A mode, the preferred eye (left or right) of your subject can be selected as the focus point,” Sony said in a statement. Sony α6400 will also introduce “Real-time Tracking” mode that utilises AI based object recognition and processes colour, subject distance (depth), pattern (brightness) as spatial information. 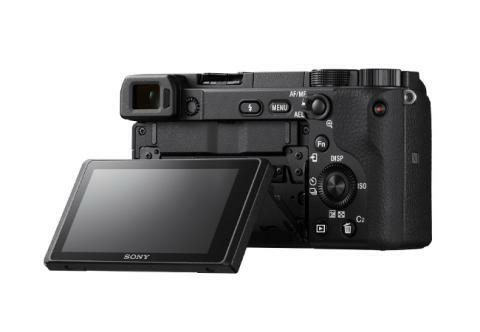 The Sony α6400 features a fully 180-degree tiltable, 3.0-type LCD flip screen with 921k-dots of resolution. The LCD screen is touch sensitive with options for Touch Pad, Touch Focus, Touch Shutter and new Touch Tracking, which quickly activates “Real-time Tracking” through the touch screen. The camera offers 4K movie recording (3840 x 2160 pixels) with full pixel readout and no pixel binning. Sony claims that the camera collects about 2.4x the amount of data required for 4K movies, and then oversamples it to produce 4K footage. The focusing during movie shooting is assisted by the Fast Hybrid AF technology. You can also create time-lapse videos and for that, it features in-built interval recording that can be set anywhere between 1 and 60 seconds, with a total number of shots from 1 to 9999. Sony claims that the camera can shoot at up to 11 fps with full AF/AE tracking while using the mechanical shutter, and up to 8 fps with full AF/AE tracking with silent shooting enabled. It can shoot at each of these speeds for up to 116 frames JPEG Standard / 46 frames RAW compressed, greatly increasing the chances of capturing the perfect moment. Sony says with α6400, it is first time in a Sony APS-C mirrorless camera that it has included an HLG (Hybrid Log-Gamma) picture profile, which supports an Instant HDR workflow, that lets HDR (HLG) compatible TV’s to playback 4K HDR imagery. 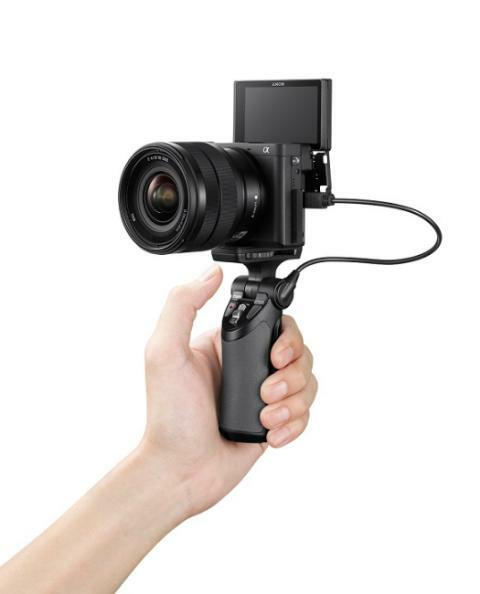 The camera also features XGA OLED Tru-finder viewfinder, customisation with 89 functions that are assignable to eight custom keys, a new My Dial and My Menu functionality and enhanced overall menu usability. The α6400 will be available across all Sony Center, Alpha Flagship stores and major electronic stores across India from February 8. The α6400 body is priced at Rs 75,990. The α6400L with SELP1650 lens will cost users Rs 85,990 and the α6400M with SEL18135 lens be available for Rs 1,09,990.